MTN is a global communications partner and world-class cellular network. As a major communications company, MTN is focused on the African continent. They believe that through access to communication, comes economic empowerment. The MTN Group operates three business divisions: MTN-SA (South Africa), MTN International and Strategic Investments. Wish it, love it, win it! 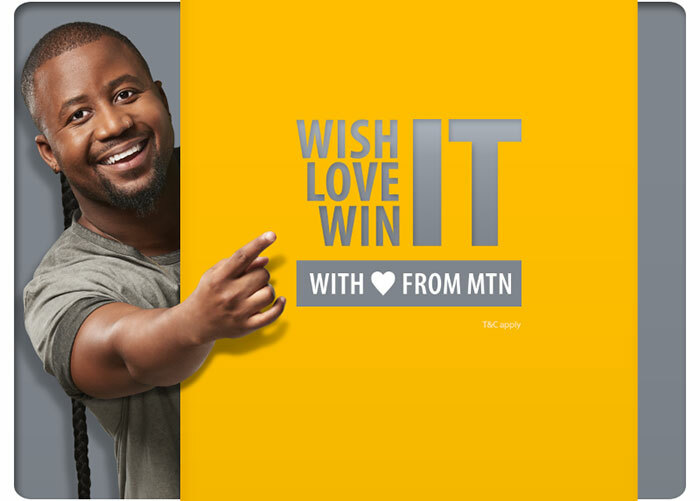 MTN are making more wishes come true this winter with their Wish It, Win It, Love it promotion. You could be one of 40 people to win R100 000 each - cash. All you have to do is sign up or upgrade to a new device, or top up your data or airtime. Visit the MTN blog for more info.